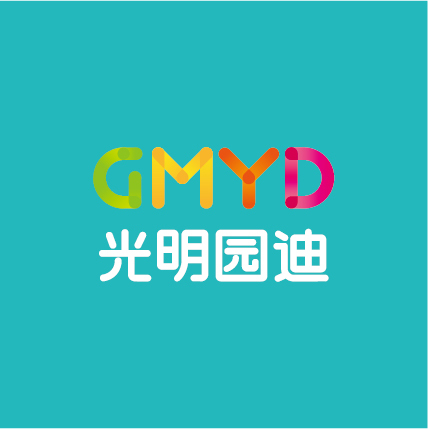 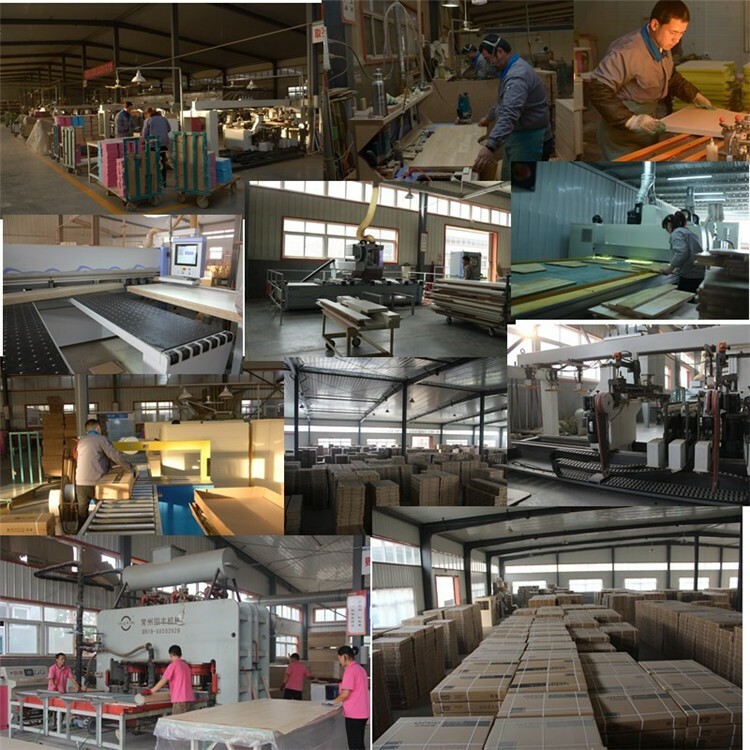 Desktop: rubber solid wood particle board, GMYD adopt high quality E0 grade board of BOOM LONG, the surface use Germany Schatter decor decorate paper, with the features no fading, wear-resisting, stain resistance, environmental protection etc. 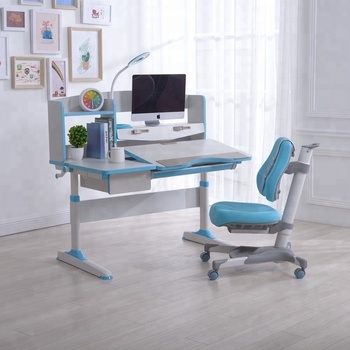 Elbow support plate, with the ergonomic arcuate design, relax strain of shoulder and waist, keep body straight. 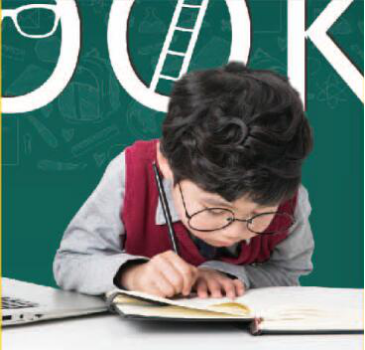 It's harmful to eyesight writing by this way. 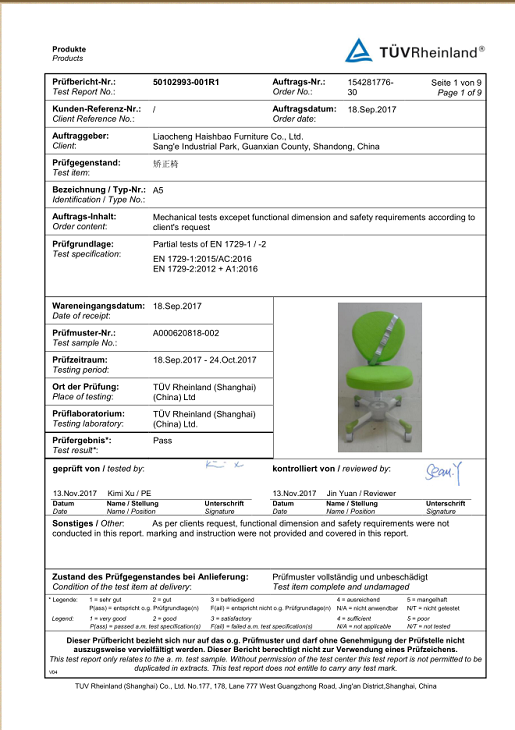 Free hands, keep good reading angle, protect eyesight. 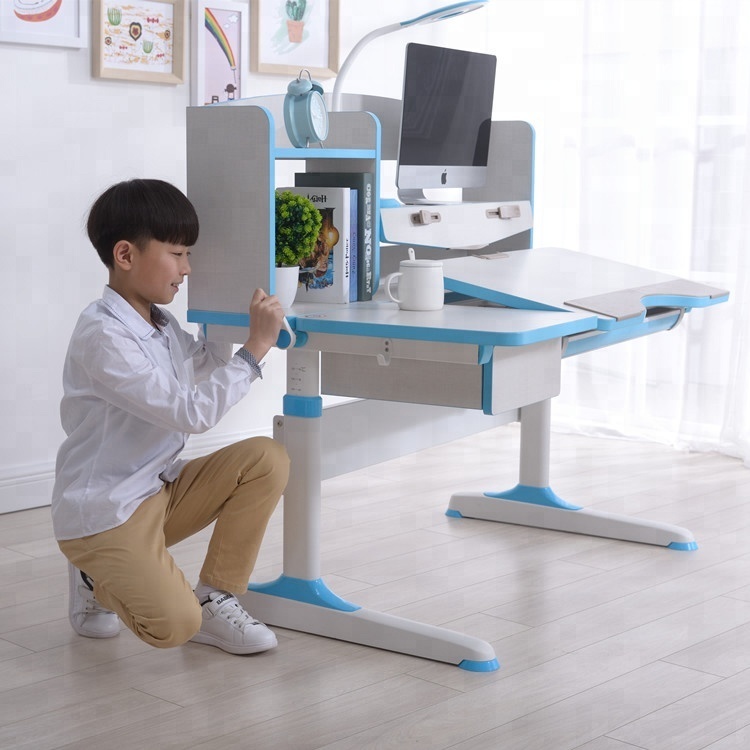 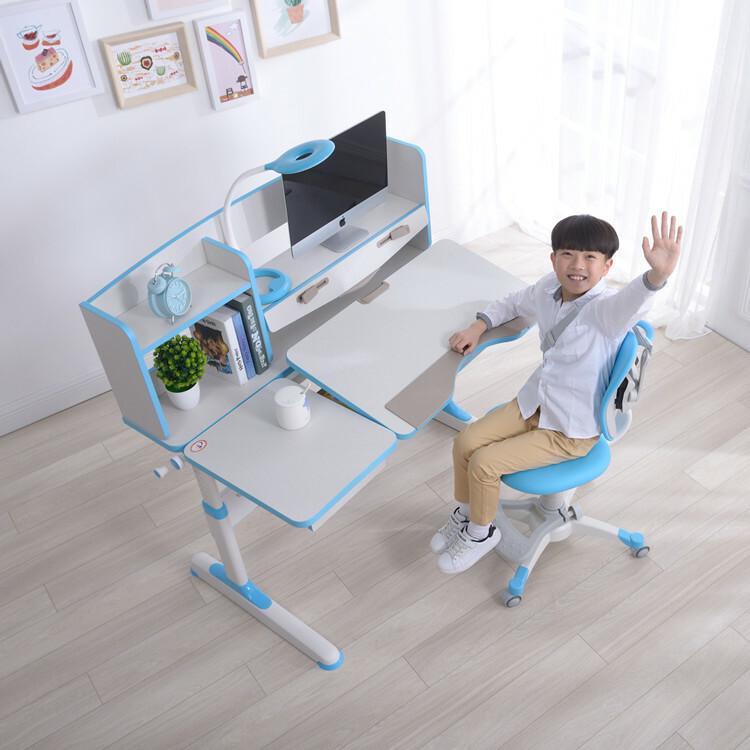 L-type desktop, left static area for placing school things or living goods as cups and so on, parent can tutor child in learning too, more convenient, and right dynamic area for studying. 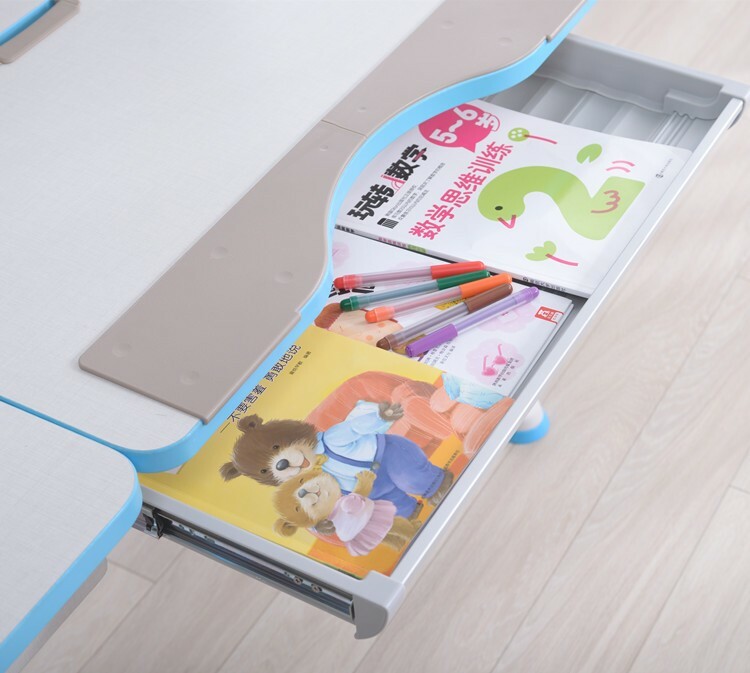 More space for storing school things such as books, pencils, and so on, very convenient, and help child keep good storing habit. 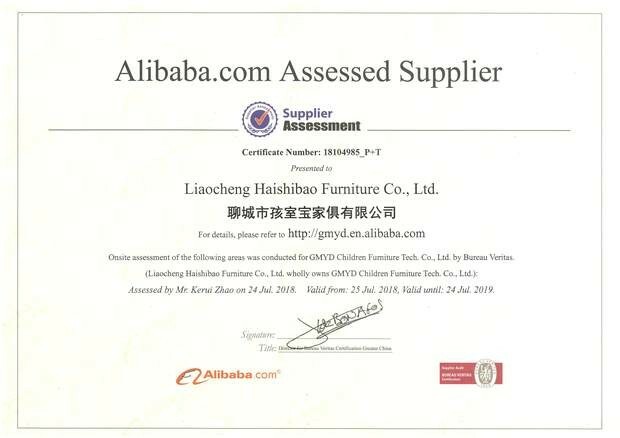 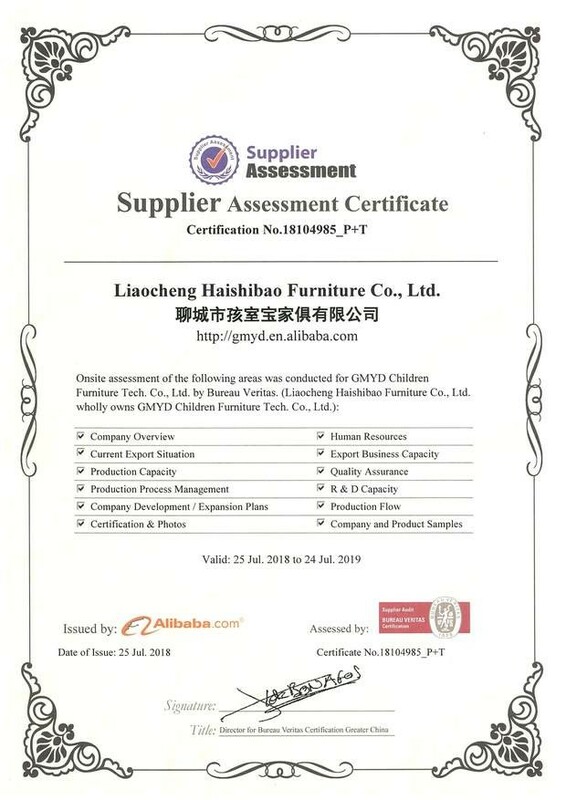 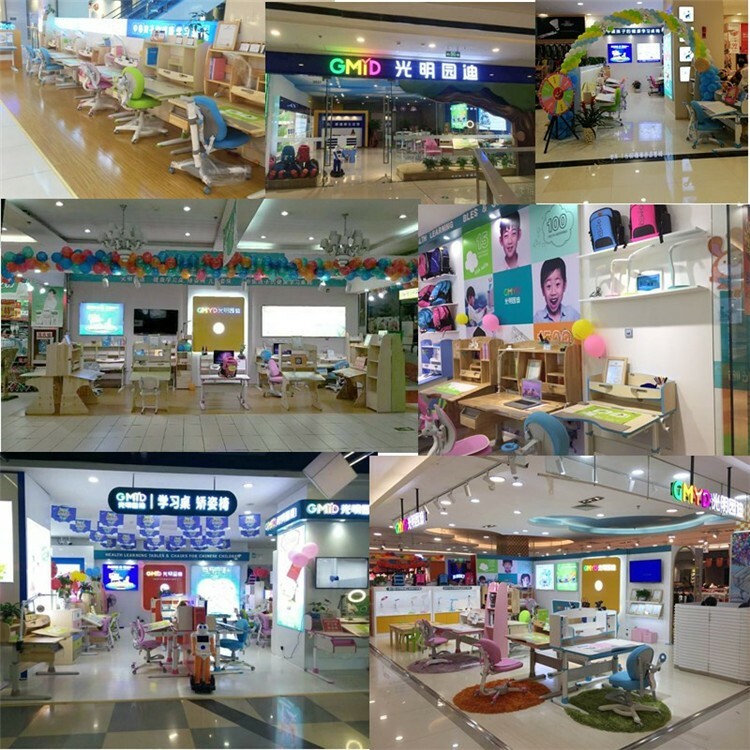 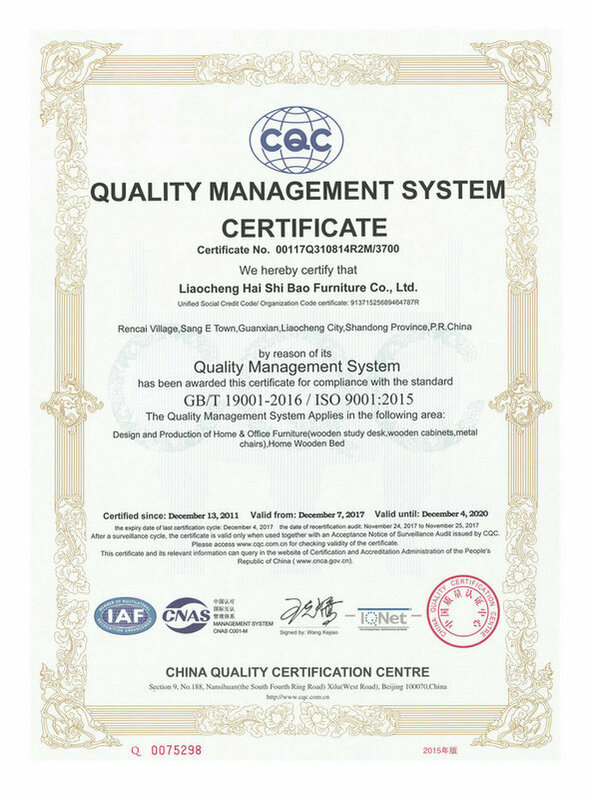 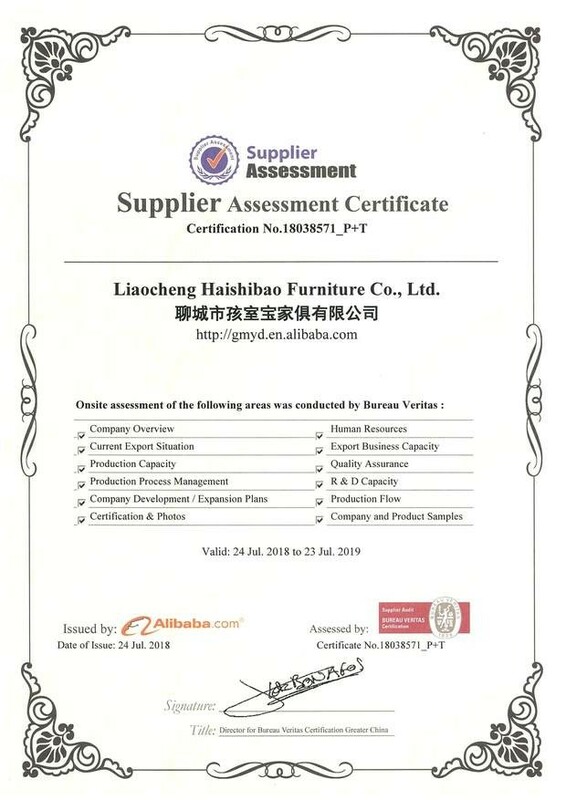 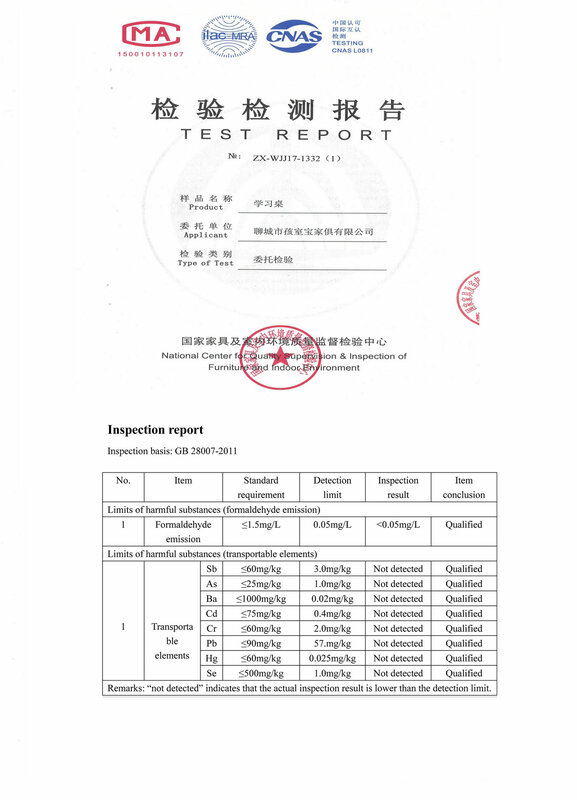 Liaocheng Haishibao Furniture Co., Ltd.